What am I? And Why Do I Suffer? And Why Do I Suffer? This is, in my opinion, an excellent book and a ‘must read’ for anyone interested in what it means to be human and, in particular, in the nature and potential alleviation of suffering. It is beautifully and succinctly written which enables a great deal of material to be covered in a relatively limited space. In the endeavour to understand the human condition, the mind, and suffering we, the readers, are able to consider what it is to be a person from the scientific viewpoint of our physiology, biology, and brain chemistry and visit both western psychology and eastern philosophical perspectives as well as the more metaphysical and spiritual approaches to human experience. We see that the models range from the more mechanistic models of reinforcement from Behaviourism to Spiritual man, socially constructed man and our search for meaning. As we examine these models we are able to see possible causes of our suffering from the many different perspectives, and through these perspectives, an opportunity to consider how we might alleviate our own suffering by using the principles and strategies suggested by the models. 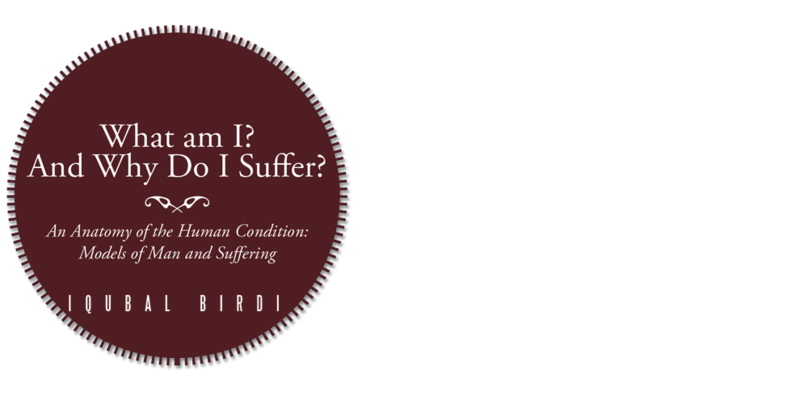 Birdi was inspired to write this book through his own suffering and it is clear that he has a deep and broad understanding of the subject. The material is well researched and written in a way that would appeal to the academic, any practitioner concerned with psychological health and well-being, or any interested layperson. It is erudite, lucid and, while accessible to such a variety of potential readers, in no way superficial or condescending. I found it deeply engaging from the first page, recognising that it addressed so many of the questions I had pondered for many years. Here those questions have been explored through many perspectives and brought together in a comprehensive, learned, logical and cohesive way. For those who wish to research these areas further, or delve into the depths of a particular model or models, or simply use the text for self-exploration and understanding, self-help or discussion, this book is an excellent starting point as it gives a beautifully synthesised description of each model which helps to increase our understanding of the phenomena of what it means to be human, and of our suffering. I would, recommend this book as an excellent resource to anyone who wants to understand themselves, who they are, what they are and why they suffer. Understanding goes some way towards self-empowerment and healing while the suggested principles for everyday living, clearly and systematically addressed again in the final chapter, enable us to put them into practice for a happier and more fulfilling life. Ingrid Slack, Chartered Counselling Psychologist, AFBPsS.,HPC, Cert. ED, Co-Founder and past Chair of BPS Transpersonal Psychology Section, Co-author of Teaching Meditation to Children, IBF Biodanza teacher. “What Am I? And Why Do I Suffer? by Iqubal Birdi is an intellectual examination of the complexities of human life that is at once personally intimate and universally all-encompassing. “Taking a multidisciplinary look at the question of human identity and the integral role suffering plays in the definition of what it means to be human, the book offers at least one deep issue that every person can relate to: “life-threatening illness, bereavement, divorce, relationship breakdown, bankruptcy, redundancy, homelessness, retirement, natural disasters, war.” Birdi examines life from physical, spiritual, social, and other perspectives, providing insight into how to overcome these challenges. This holistic approach fits well with the universal nature of the question of identity, and provides insights (not necessarily neat, tidy answers) that quench mental thirst. “The main body examines views of mankind, discipline by discipline: the sciences of man’s place in the cosmos and his innate endowments, religion, sociology, and interpersonal and spatial relationships. The book studies what it means to see man as a small part of a large universe, how man’s ability to learn affects who he is, and what impact day-to-day relationships have on man’s identity. “The conclusion summarizes the main topics of the book, but rather than feeling repetitive it provides a concise look at the broad swath of information explored. Then Birdi offers brief recommendations from each of the disciplines on how to minimize suffering and maximize emotional and psychological health. These recommendations—such as “Learn to be aware of what emotions and feelings are yours, and own them” and “[Increase] the feel-good chemicals in your brain…through…exercising, meditation, yoga, relaxation, laughing more, eating a healthy diet, and engaging in positive social and intimate relationships”—may seem simplistic, but they prove to be powerful coping mechanisms in light of the lifelong nature of suffering. “The title provides a hazy view of what the book will be about. Does the pronoun I refer to the author or the reader? And what rather than who only makes sense once the academic content and tone of the book are known. The subtitle (An Anatomy of the Human Condition: Models of Man and Suffering) clears up the key ideas of the book—humanity and suffering—but the scholarly wording limits the appeal of what could be a unanimously compelling topic. “What does it mean to be human? What is the cause of suffering? These perennial questions are the focus of Iqubal Birdi’s offering, What Am I? And Why Do I Suffer? “Searching for answers, Birdi examines a wide range of models of human nature: biological, psychoanalytic, behaviourist, archetypal, and socio-linguistic, among others. He also integrates viewpoints from Eastern religions, most notably Buddhism. This is no surprise, given that Birdi’s focus on the problem of suffering is similar to the questions that initiated the historical Buddha’s spiritual search. “Each of the author’s brief chapters describes what previous thinkers, from Jung, to Skinner, to modern neuroscientists reveal about the nature of the human person. The author then applies each of these models to his question regarding the origin of suffering. The result is a book that has the character of a survey or outline of psychological paradigms. In his conclusion, he offers ten principles or practices that he believes tend to ameliorate suffering or at least place it in a broader context. “How do people find meaning in existence? And when people suffer, what does their suffering really mean? With his background in counselling, Birdi aims to help people find ways to alleviate suffering by better understanding themselves and their places in society and in the universe. In taking on this task, the author touches upon many different fields of study, from philosophy and psychology to neuroscience and astrophysics. He organizes his work by exploring various conceptions of mankind, including “Cosmic Man,” “Psychological Man,” “Spiritual Man,” “Man as Social Construction” and others. He’s particularly interested in how outside forces influence who people are, how they act and how they suffer. For instance, he writes that hormones such as testosterone may drive a person to certain actions or conclusions. Life experiences, including injuries or education, form our conceptions of self, he writes; likewise, ideas, such as religious or spiritual concepts or teachings on morality and ethics, also play a role. Birdi concludes with 10 tools for handling suffering (featuring advice such as “Learn to live in the moment through practising mindfulness”), based upon his earlier teachings throughout the book. BIRMINGHAM, England – Understanding the human condition and how to reduce or cope with suffering and improving psychological and emotional well-being has been the driving force of author Iqubal Birdi to dissect the human condition and ultimately present a useful approach to coping with life’s challenges. 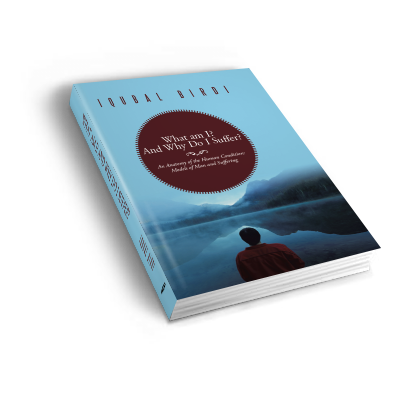 Using himself as the subject, Birdi uses his academic and professional experience in psychology and counselling, as well as his own spirituality, to make sense of and understand what he was going through and answer the questions “What am I? And Why Do I Suffer?” (published by AuthorHouse). This book primarily looks at the human condition – what it is to be human, why humans suffer, existence and reality. It uses psychological, biological, sociolinguistic and socio-cultural theories and existentialism, as well as Eastern approaches like Buddhism and mindfulness, in answering these questions and developing a holistic model of the person as well as a range of principles for everyday living – ultimately improving a person’s psychological and emotional well-being. With the pace, complexity and pressure of life increasing exponentially, this book is a timely read, giving an opportunity for readers to pause and reflect a while; think about who and what they are, why they do what they do, why they suffer and how they might live in a different way, reduce their suffering, and improve their everyday emotional and psychological experience. Iqubal Birdi is a graduate in psychology and has a postgraduate diploma in psychological research methods and an MA in the social sciences. He has experience in counselling, supervision, training, and management in the substance misuse/addictions field, as well as teaching counselling skills in an adult education setting. He has a diploma in counselling and is a registered member MBACP and registered counsellor. He has also previously been a graduate member of the BPS and its Division of Counselling Psychology (DCoP). He has an ongoing interest in Buddhism and its links to Western psychology. Copyright © 2013. Iqubal Birdi. All rights reserved.